Item # 310062 Stash Points: 3,495 (?) This is the number of points you get in The Zumiez Stash for purchasing this item. Stash points are redeemable for exclusive rewards only available to Zumiez Stash members. To redeem your points check out the rewards catalog on thestash.zumiez.com. 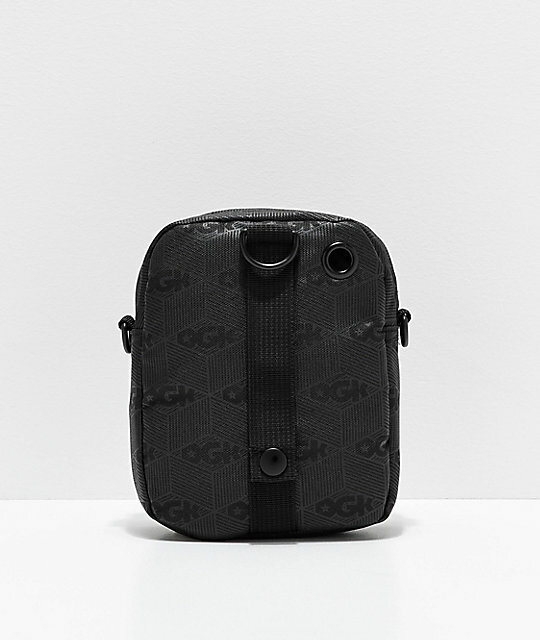 Carry all your daily essentials in a new fashionable way with DGK's Lux Shoulder Bag. This high-fashion inspired accessory features a two-toned adjustable webbing strap that allows your to wear this bag over your shoulder or across your body. An expression of your streetwear conscious style, the Lux Shoulder Bag takes any look to new heights. 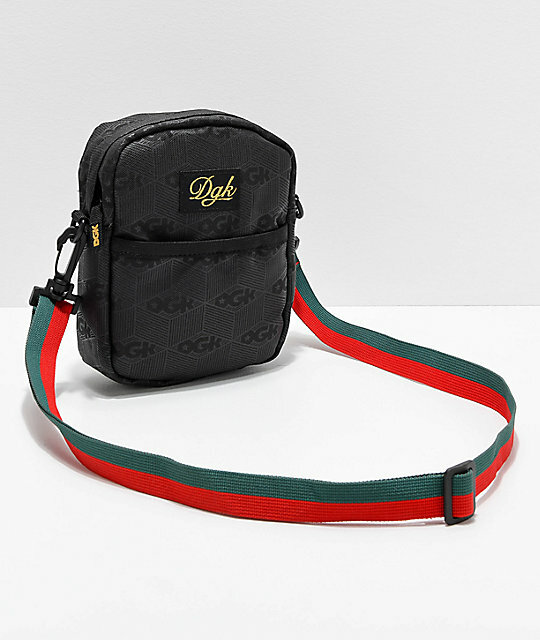 Lux Shoulder Bag from DGK. Over shoulder or cross body wear. Black, green and red colorway. 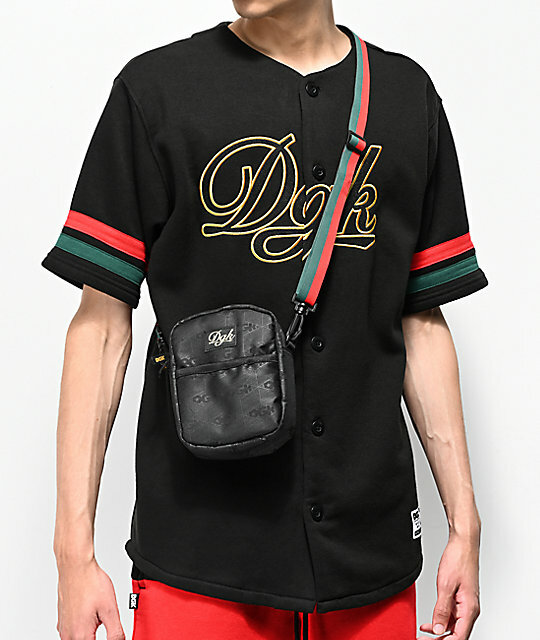 Subtle DGK logo script and striped design throughout. Main compartment with internal pocket. Red and green striped adjustable webbing strap with plastic clips. Back snap strap for ability to attach to other bags, etc. 7" H x 5.5" W x 2" D | 18cm x 14cm x 5cm.